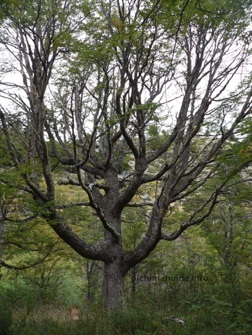 Consists of the analysis of the 12 years’ experience of a project for nature recuperation ( ≃ ecological restoration, reforestation, protection, rehabilitation), set up in Chilean Patagonia; of an experiment where private property is used to protect the privacy of nature, supported only by personal funds (with the exception of national subsidies for reforestation covering most of the planting and in kind donation), funds saved through long-term work at managerial positions in an international environmental organisation, international environmental conventions, chemicals treaties and a national EPA, and by using that experience; of the extend nature can regenerate after 80 years of large scale and severe degradation by anthropogenic activities, in a region where the ecosystems and wilderness have been consistently ruined, some of them collapsed and presently mainly novel ecosystems have developed; of which features of the ecosystem could be restored, and which are lost forever; to what extent resilience can be rebuilt and of what exactly ecosystem we are rebuilding the resilience; on the other hand no one knows what “resilience” really means and there are virtually no indicators to assess resilience capacity, so we are rather building the anti-fragility of a novel ecosystem (what does not destroy it makes it stronger). Uses, as well as this site, only personal experiences and conclusions. The experiences, solutions, challenges, achievements, mistakes and opportunities described here are specific to the present project and case study only, with some minimal extrapolation on the region. 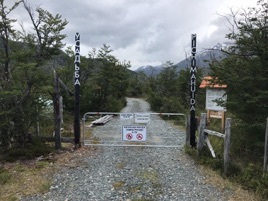 Due to the disinterest for this type of projects on the local level, resulting from the reticence to change land use from destructive cattle raising and uncontrolled development of adventure tourism, as well as to the international valuation of the project, some pages are not translated into Spanish. Only a frame of the study is presented through this site, the project is detailed in publications by the foundation mentioned below. Has been used to shape a foundation dedicated to protection of the rights of the forests in order to restore degraded nature areas, based in Switzerland, and to design an In Rem Right of Conservation agreement (Chilean law 20.930) with it, so it can take the necessary steps to protect the area, to ensure long-term legal protection of the land of the project and re-created forest. It has also been used to identify solutions for making ecological restoration and reforestation projects independent, to identifying relevant existing experiences (f.e. nature exclusion zones) and philosophies (f.e. rights of the forests, Biosphere theory or personhood of ecosystems), to develop own approaches, criteria and principles. Seeks to apply holistic approach to land conservation and forest protection, summarized as protection of living matter, based on personally identified best available practices (BAP) for this particular project, regardless of their physical or time location, for the determining facets of the project. ⫸ located in a local institutional and customary environment that accepts nature degrading methods. The question heard most often: “Why are you here ?” - To give a better life to the land. And to use what we learned in our previous lives for that. There was an opportunity, factual and legal, and an aspiration to protect the place. The land was bought because it was severely destroyed and deserved a better life. The practical objective is to allow the development of nature as a natural habitat for wildlife, protecting it from human interventions and stress, and increasing its potential for ecological restoration of native species present in the valley, orienting the management towards their needs and priorities. Vision: the ecosystem is as close as possible to what it was before the deliberate fires of the 1930s-1940s, a healthy ecosystem that does not degrade and that can evolve naturally, protected and respected as a private nature restoration reserve. To respect is to protect. ≠ not an attractive area, due to the high level of anthropogenic degradation of the ecosystem. ≠ not have soil suitable for any type of agriculture - no competition for land use. Natural threats: fire, climate change (via help to ecosystem’s move). Demonstration of success of private non-institutional approach. Crucial for the protection of the privacy of nature and effectiveness and success of the project. elaboration of an adequate theory and principles to be used for as long as possible. We have to admit that we lost the battle for Nature protection. Time for compromises is over. The mass extinction of Nature is accelerating. We can just help it to disappear decently, without suffering. Corresponding IUCN status - 1a Strict Nature Reserve, but applied to a degraded area.